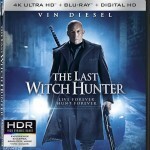 Other announced titles on Ultra HD Blu-ray include The Last Witch Hunter (2015) starring Vin Diesel, the epic sci-fi adventure Ender’s Game (2013), and Sylvester Stallone’s The Expendables 3 (2014). 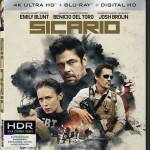 The titles aren’t available to pre-order yet as are some Ultra HD Blu-ray movies from 20th Century Fox and Sony Pictures. 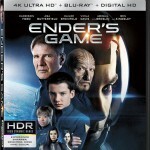 But we learned from Variety that The Last Witch Hunter and Sicario will each have a suggested retail price of $42.99, while the Ender’s Game and The Expendables 3 will have a suggested retail price of $22.99. Expect some price adjustments. 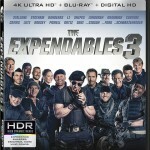 Since most UHD BD titles currently available to pre-order are selling for $29.99 (MSRP $39.99), expect the newer 2015 Lionsgate titles to come closer to $30 rather than the SRP of $42.99. Ultra HD Blu-ray players aren’t available yet either, but Samsung’s UBD-K8500 is available to pre-order, and both Panasonic and Philips have announced 4k disc players.